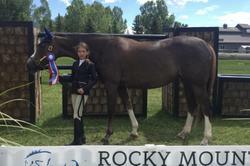 Champion 3-Ring Horse – She’s Dynamite- For Sale. 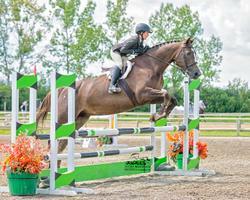 She’s Dynamite (Fiona) is the kindest 3-Ring Champion horse you could wish for. 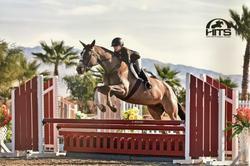 In the past year she has taken an 8/9 year old girl from 2’3” up to the 3 ft (0.9m) level – with Champion wins in every ring – Hunters, Medals, Equitation and Jumpers. 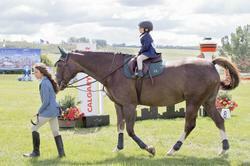 Fiona is also a star in the leadline class. 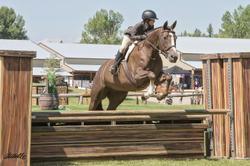 Beautiful, calm and experienced, Fiona is sadly offered for sale as her rider is ready to move up to the higher Jumpers. 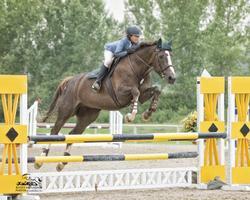 Fiona is the ideal horse for a junior or amateur looking to show and win in the 3 ft Hunters, Medals, and 0.9 m Jumpers. 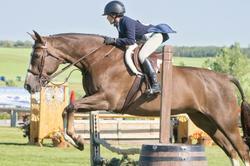 She has shown across Alberta, including Spruce Meadows, and at HITS Thermal. 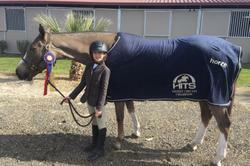 She is 16.1 hh 2004 Irish Sport Horse imported in 2011. 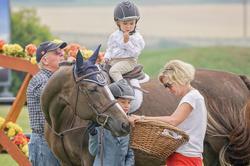 She is in a proven training program with Rodney Tulloch (Landmark Farms). She has no buck, bolt, or spook and is not mare-ish at all. 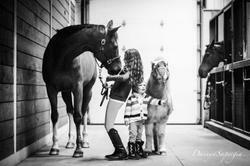 Please contact our trainer, Rodney Tulloch at 403.650.1267 or Rebecca Graham 403.397.5240. 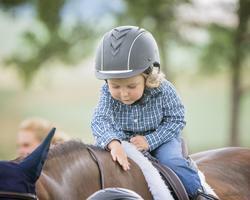 Located in Calgary, Alberta and available to try at Rocky Mountain Show Jumping August shows, or our home barn at Spruce Meadows. I am glad to inform you that another one of our two ponies has been sold thanks to this website! Painted Desert has been sold. If you could please list him as sold we would appreciate it... Thank you very much and have a great day!